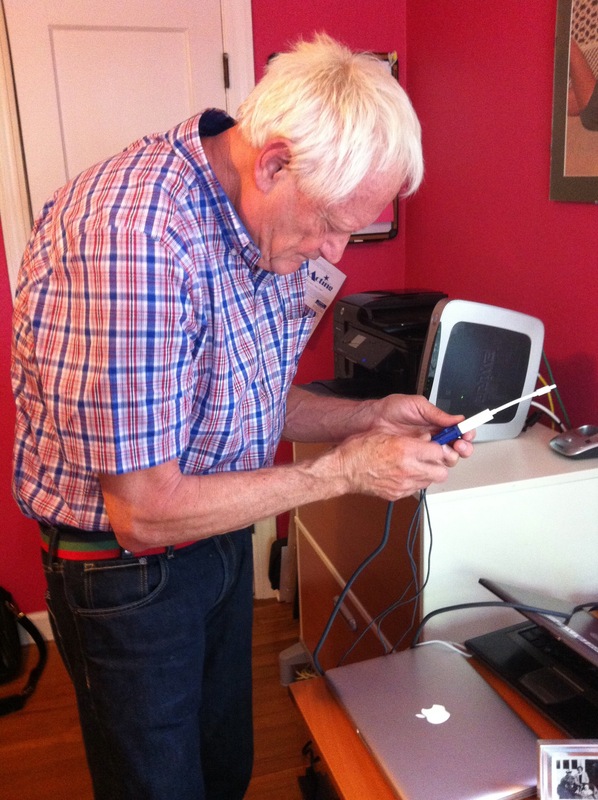 Anyway, I was going through my files, and I came across these sweet pics of Dad helping me network my new printer. 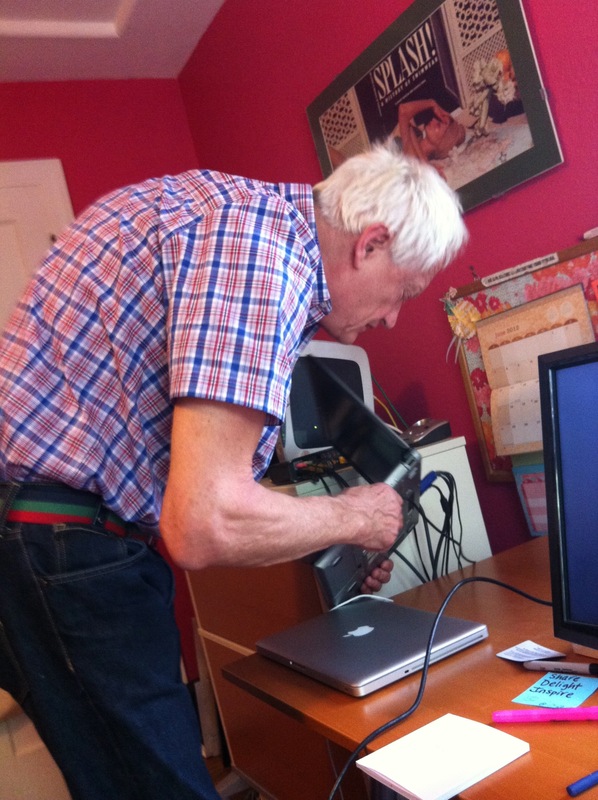 I thought folks might like to see a stylish senior who bucks the stereotypes about aging and technical agility. That’s a baby picture of Dad in the lower right corner. He’s peeking out of an old-fashioned wicker buggy.